Limpet Coil: Limpet Coil can be made of Mild Steel or Stainless Steel as per the application of the user. Drive System is specially Designed for Maintenance & Trouble FreePerformance. Supported ourselves with proficient amenities, we are readily instrumental in providing an inclusive variety of Limpet Coil. We manufacture Reaction Vessel from 50 Liter to 20 KL in Material of construction Mild Steel, Stainless Steel SS 304 or SS 316. We deals in Limpet Coil Vessel . 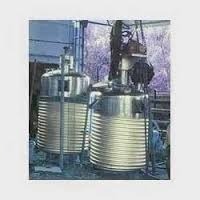 We are widely appreciated for offering exemplary Limpet Coil Vessel. Precisely manufactured using high-grade basic material, these vessels can meet variegated concerned application in various industries. We are offering Limpet Coil Reactor. Our clients can avail from us a wide range of Limpet Coil Reaction Vessel that is known for its high performance, durability & corrosion resistance. These are offered in capacities up to 5000 liters and can be further customized as per the requirement. Owing to the presence of our expert team members, we are able to offer a wide range of Coil Reactor. 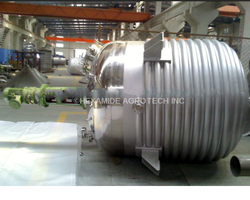 Leveraging on our massive expertise and competence of this sphere, we are affianced in presenting a comprehensive compilation of Half Coil Limpet Pressure Vessel.